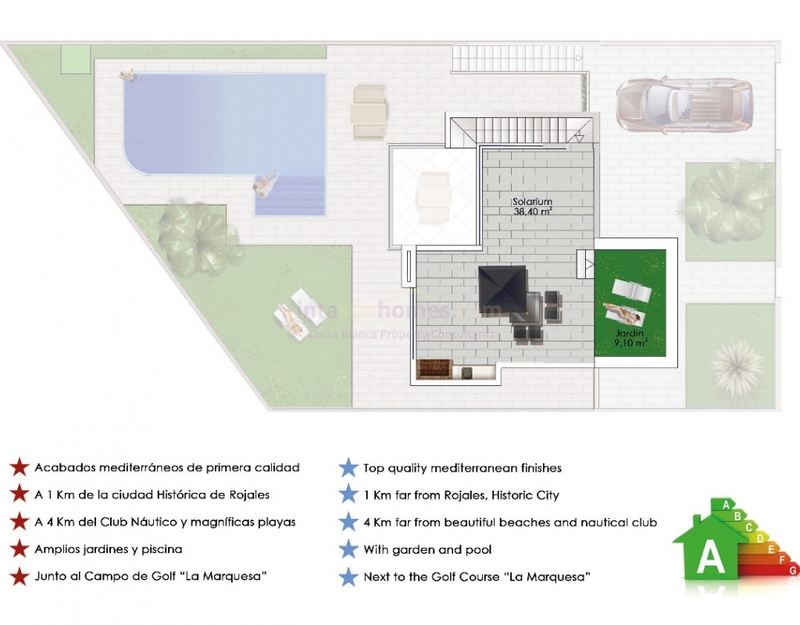 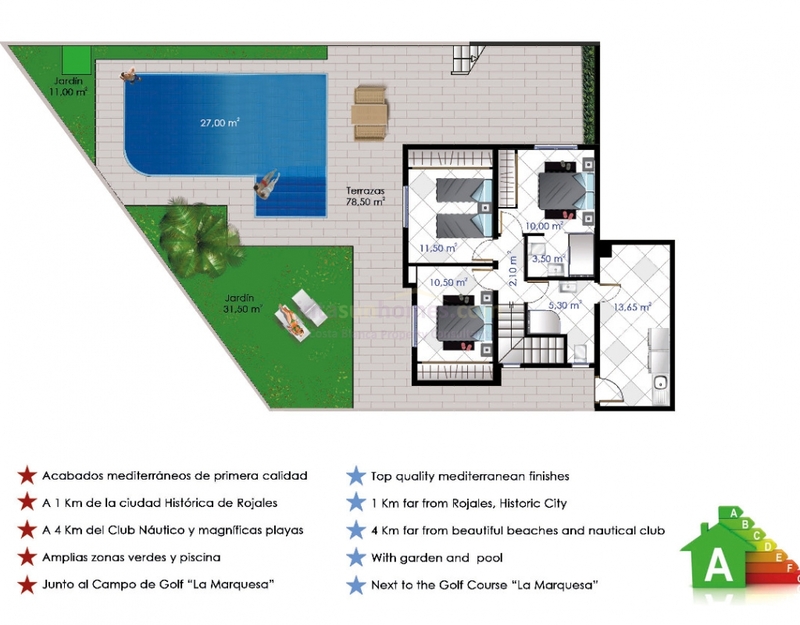 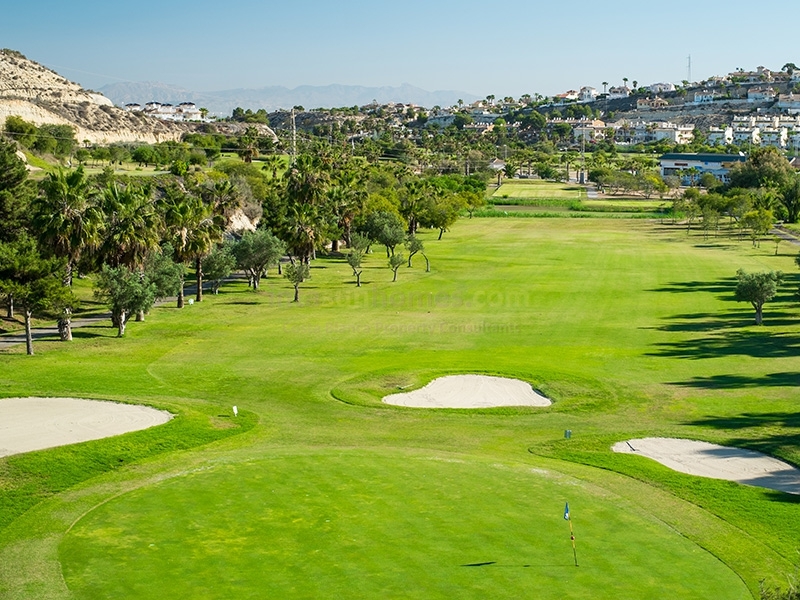 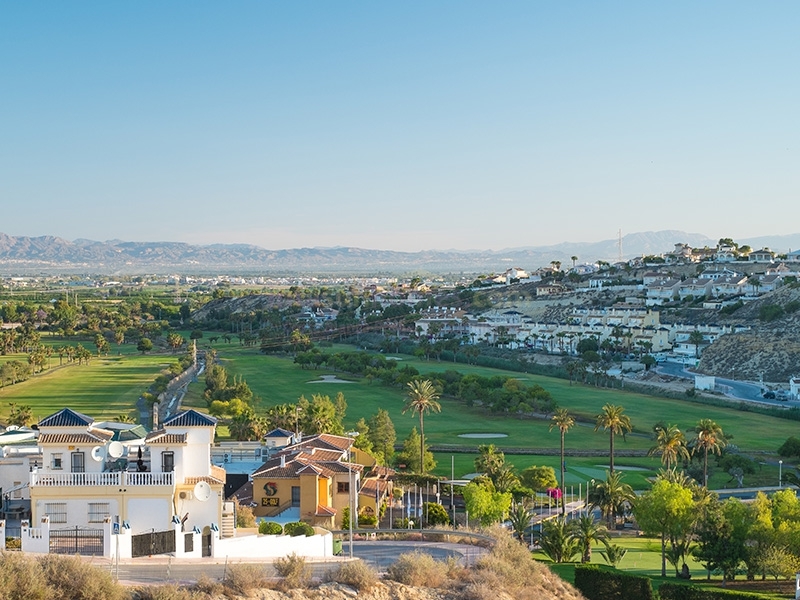 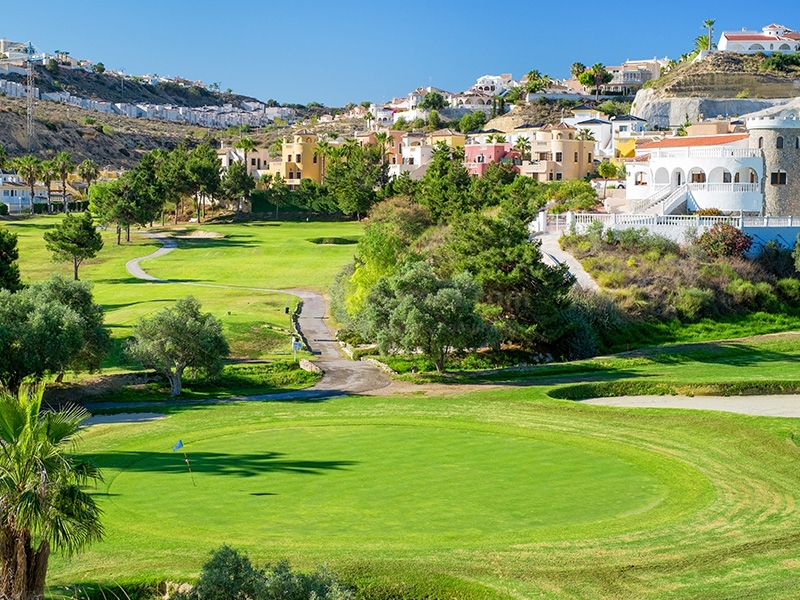 These are brand new, luxury detached villas located on the prestigious La Marquesa Golf Course and just a short walk from all the fantastic multinational restaurants, cocktail bars, pubs and the international supermarket it has to offer. 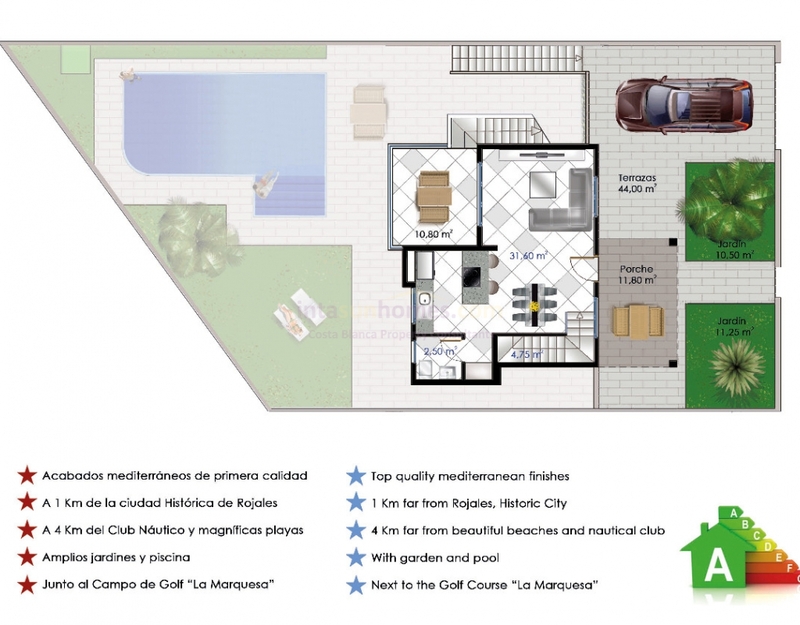 The styling of these properties boast a blend of modern and contemporary design and comprise of three floors, the first floor boasts: a great sized open plan living area with american kitchen and breakfast bar; dining room; and guest toilet. 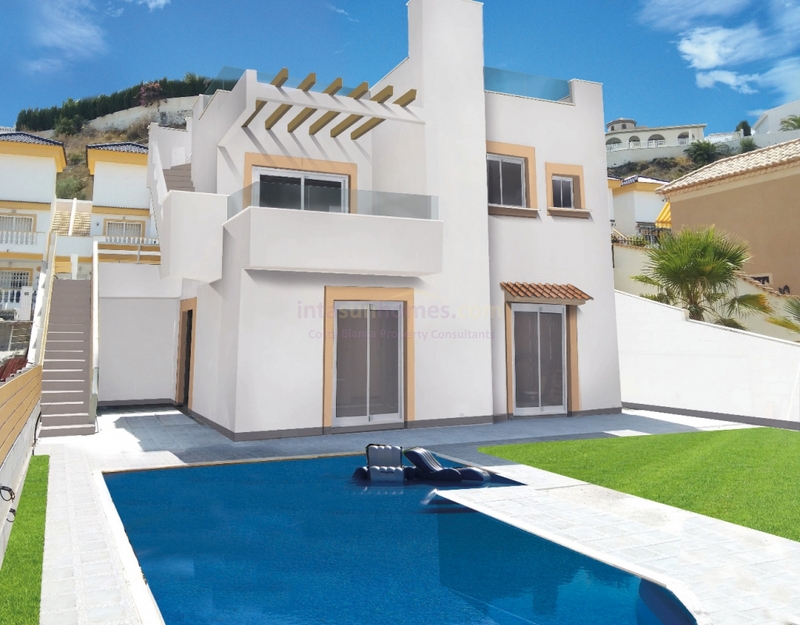 Stairs lead down to the ground floor where there are three double bedrooms with built in wardrobes, master with en-suite and all offering access out to the private garden and pool area; a shower-room; and a huge utility room. 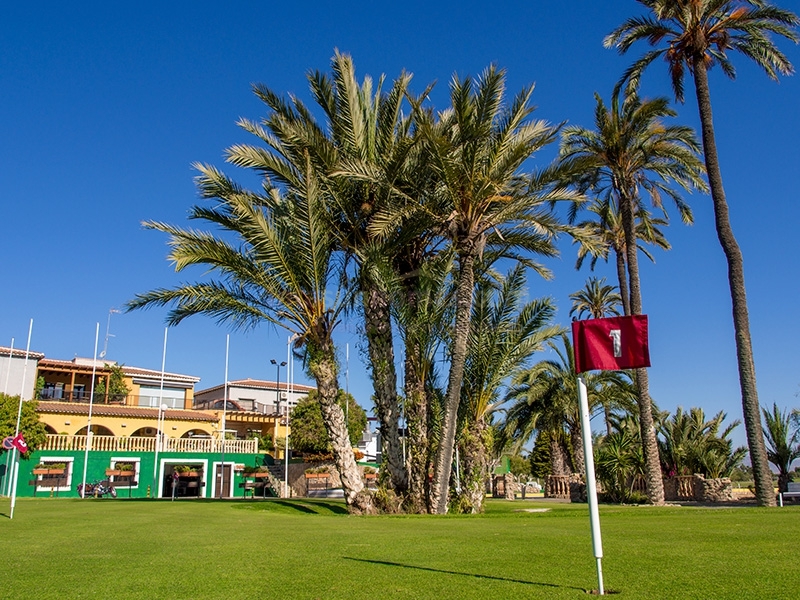 There is also a solarium where you can soak up the sun and take in the wonderful views of the golf course.